After the encouragement of a few folks (among them, Hedge (@approx_normal), Zach (@z_cress), and Jennifer (@RealJMcCreight)), I decided to move forward with my admittedly medium-rare idea to have a class start a blogging community. 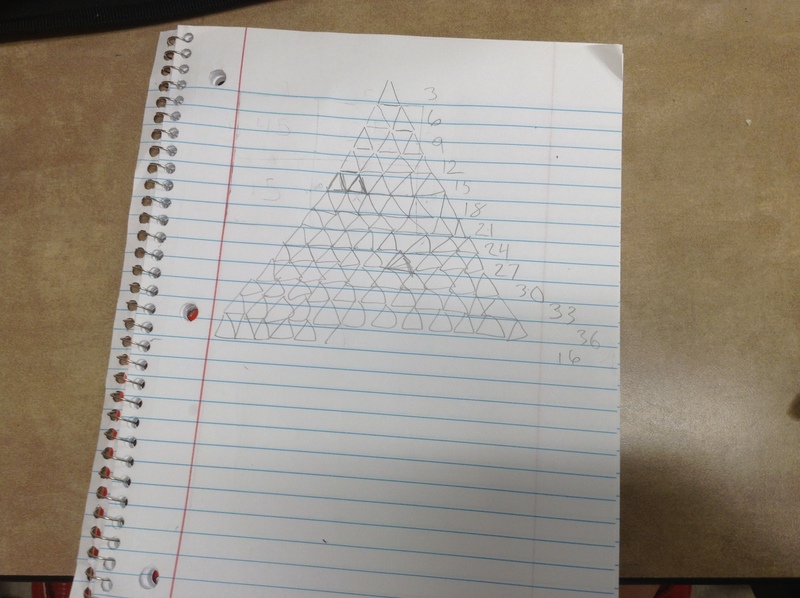 I needed their encouragement because I hadn’t ever SEEN anything like this done before in math class. I’ve seen examples at the elementary level. I’ve heard about English teachers doing this, but the benefits of active engagement in a blogging community to a class of math students was purely hypothetical. I sold it to them in this spirit: Algebra II is the last math class that Michigan specifically requires high school students to successfully complete in order to graduate. That makes Algebra II the series finale. This is the last season. A sitcom that they have been watching daily since 2004 begins it’s final season this fall. They have spent more than a decade learning different kinds of mathematics and Algebra II is where we show off how it all fits together. We are able to reveal where it was all leading. The blog acts as an extension of that. If they are going to take anything of value from the dozen years of math we lead them through, they are going to have to internalize their experiences. The blog is going to give them an opportunity to make visible a portion of that internalization. They are required to follow all of their classmates’ blogs. This ensures that their WordPress homepage readers are displaying recent posts. I have a rubric that I will be following to hold student’s accountable for actively participating in the blogging community. Already, this has allowed us to consider a variety of different relevant topics that are not normally relevant to a math classroom, but are darned interesting to talk about. The value of pictures and story-telling in conveying meaning, the consideration of audience, the use of images and movie clips, digital citizenship, etc. It has worked to make the class more holistic, which needed to happen if we are really going to take the series finale approach to this course. There’s value in that because the last 10 years of math class haven’t just been about math content. They’ve been about math habits, problem-solving techniques, specific tools, vocabulary, and a variety of technology. To focus purely on content would be to miss an opportunity to help them make sense of all of those experiences. And to solidify those things is to provide a springboard to launch the students into an opportunity for spin-offs once this required Michigan math series has reached its conclusion. Here are the handouts I used to introduce the blogging community to the students. None of these handouts stood alone. All of them were given as part of a large-group question-and-answer session, so keep that in mind as you read them and notice details left somewhat vague. 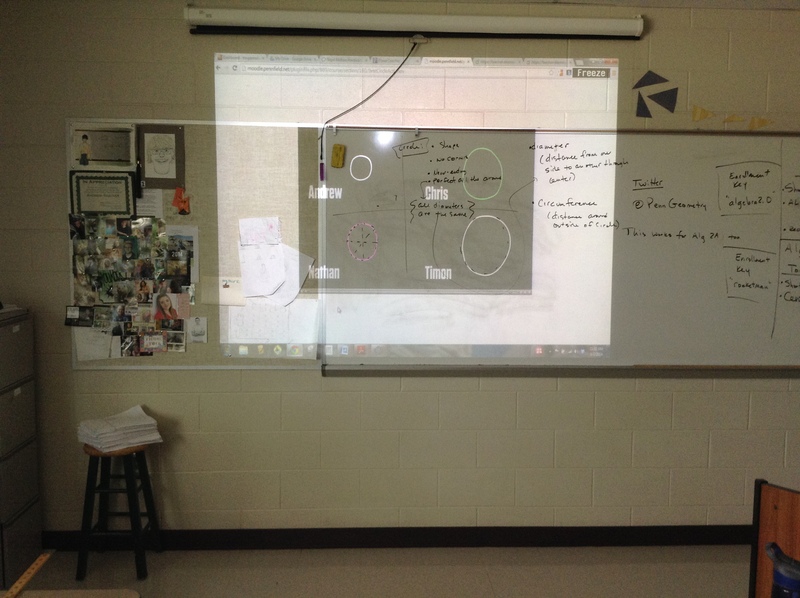 My geometry students explored Dan Meyer’s “Best Circle” on Day 1. It is customary to start the year by helping the students understand their role as a member of our math community. So customary, in fact, that toward the end of the day, it seems most students have seen 3, 4, or perhaps, 5 different “here are the procedures and policies in my classroom” lectures. I choose a different approach for two reasons. First, I feel like the students are appreciative of the chance to do… something… anything… other than listen to another description of the classroom policies and procedures (which, aside from late work policies and grade categories, are probably pretty darn similar teacher-to-teacher anyway). And second, there’s only so much value in telling students stuff. It’s usually better to show them. My ALG 2.0 students explored Dan Meyer’s “Toothpicks”. In case you’re curious, these are the expectations for each member of our mathematical community. 1. We stay on task. 2. We seek out the tools that we need. 3. We ask questions instead of quitting. 4. We are responsible for having something to offer to the team, and then our the team to the class community. 5. We make sense of the answers we get, examining if both the answer and the procedure for getting it are reasonable. If every person in my classes did that, we’d be just fine. Always. The problem with Day 1 is that you have to be very, VERY careful assuming ANYTHING about the background of the students coming into your classroom. I was fortunate that my ALG 2.0 class was almost entirely made up of students whom I also worked with in geometry. This is rare. In general, I don’t start gaining a real understanding of each group of learners until I’ve watched them explore math tasks the first couple times. So, this is when you make the entry point to activity as low as you can get it. Up the mathematical intensity only once you are sure everyone is still on the same page. This is when you establish norms. Remind them to get back on task. Require a contribution from each group. Gently ask follow-up questions. Offer the students a variety of resources and then brag on their creative and effective use (even if it is something as simple as using multiple colors to organize work). Central Park by Desmos is a perfect fit, by the way. As are the activities from the pictures. It’s important to take advantage of the opportunities given to you as a teacher on Day 1. After all, you never get a second chance at a first impression. And if Day 1 goes well, when the student’s are shaking off the summer rust, then imagine all the fun we’ll have on Day 2! It’s Labor Day and in Michigan that means that school starts tomorrow. Every school year comes with its own challenges. It also comes with a great deal of excitement. I am excited to be getting a second try teaching Algebra II (which is coming in two different versions: Algebra II, the one-year version and Algebra IIA, the first year of a two-year version). The first try was clunky and unorganized. Having three sections will help as it is nice to have multiple tries at the same lesson, which wasn’t the case the first time around. I am excited to be starting geometry again. Last year’s course got really backed up because of the incredibly intense winter that easily cost us a month’s instruction. I am excited about the chance to explore the possibilities for student math blogging. My school’s one-to-one program makes that possible. I am very thankful for that. I am excited to meet a new group of young people. I am also excited to get a chance to work with some students for a second year, as we worked together to learn geometry last year. I am excited about the new teachers that we brought into our community this off-season. So far they have brought a lot of energy. Energy is nice to have around, I’ll tell ya. I am excited for a couple of my colleagues who accepted new positions for this school year. I’d say both moved upward and in a direction that will serve them and their educational communities very well. I am excited to roll out the math club this year at our school. Our first task will be to design and test the m&m’s project. There is a lot to be excited about. What are you excited about? I hope to hear back from you. Drop me a comment (or a link to your own blog post).